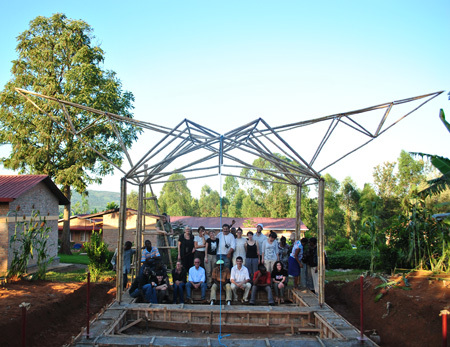 Today morning we hoist the last two wings. 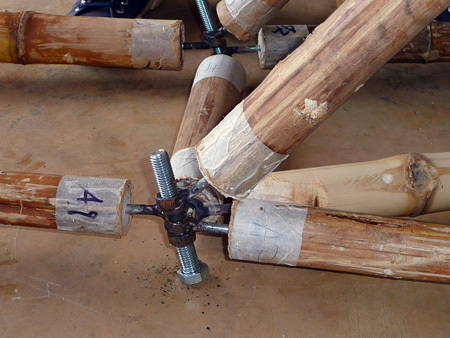 And we planned the next two weeks of workshop. 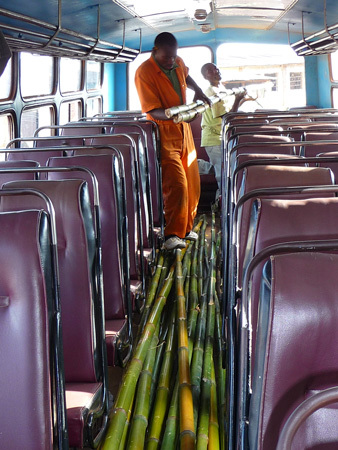 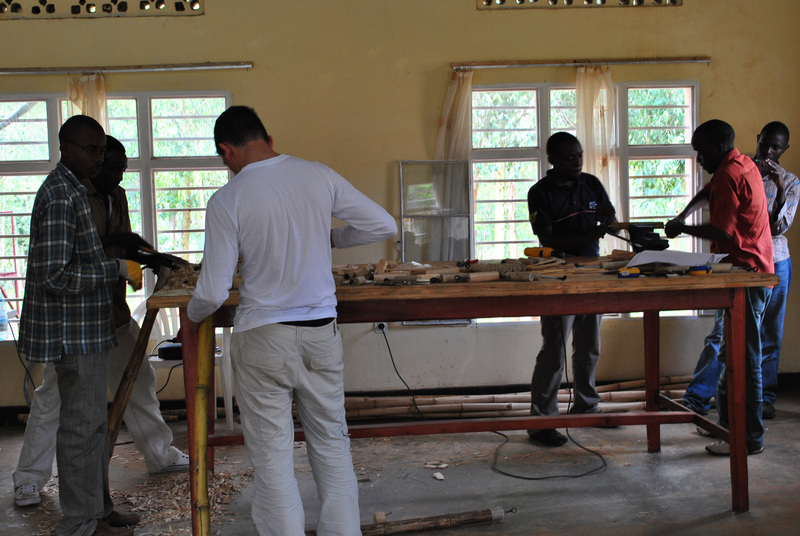 Today we went with some KIST’s student to Kanama, close to Gisenyi to see some bamboo coltivations. 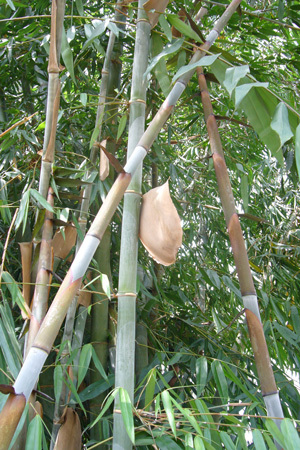 We saw Dendrocalamus Giganteus and Bambusa Vulgaris. 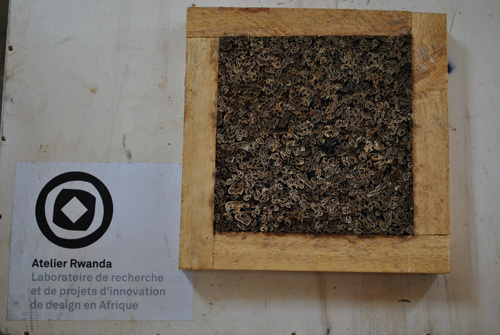 And we took some samples with the aim to investigate their features. 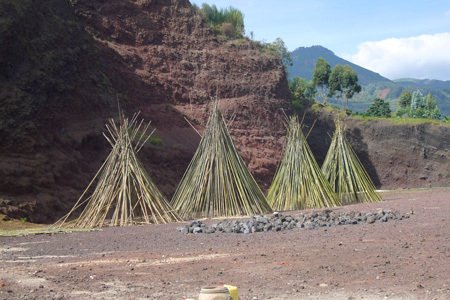 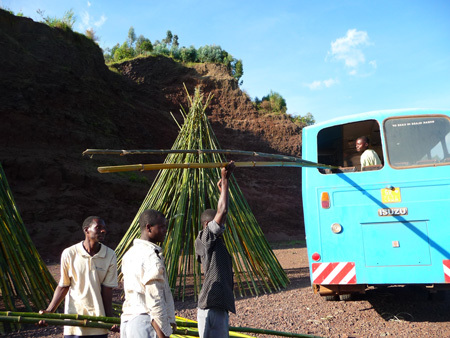 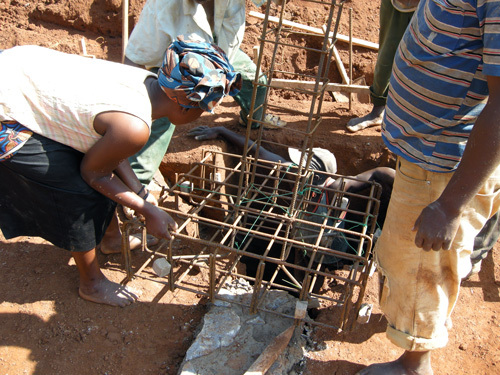 We brought to Kanombe 50 culms of bamboo, to build the missing part of the structure. 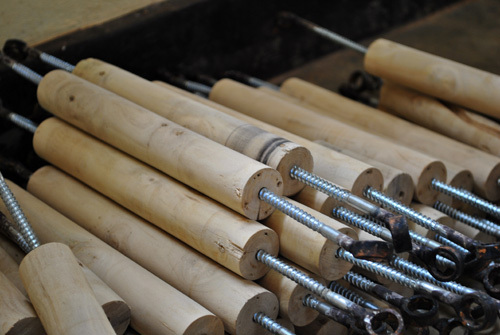 Today eng. 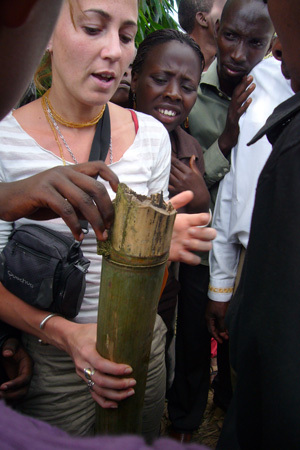 Francesca Parotti arrived in Kanombe. 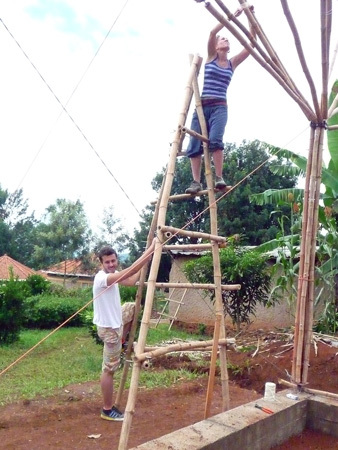 She gave us a lot of informations about the bamboo structures. 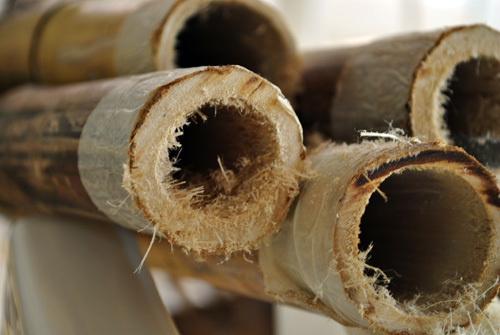 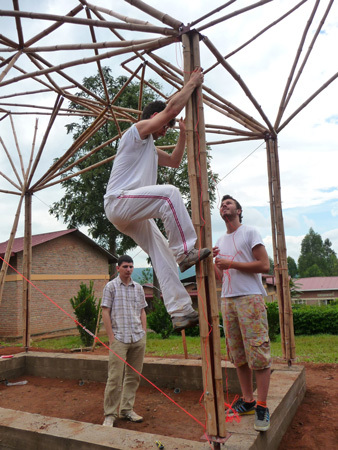 The first part of the bamboo structure has been finished! 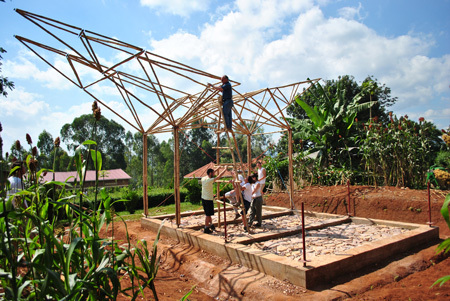 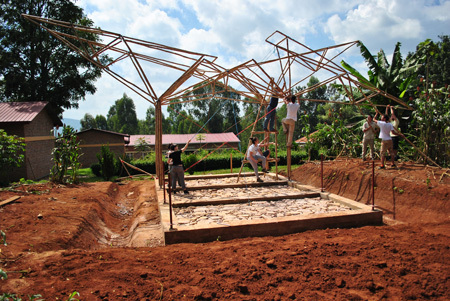 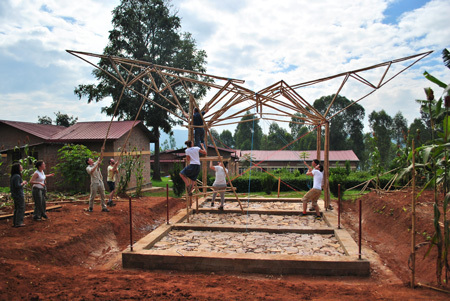 This week the works went on in Atelier Rwanda workshop. 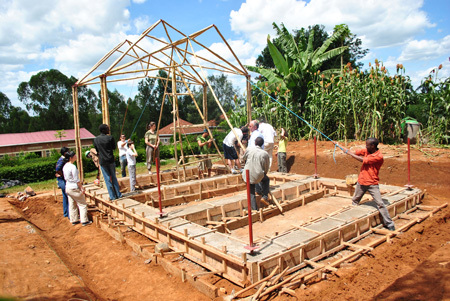 The foundations are going to be finished until the end of this week. 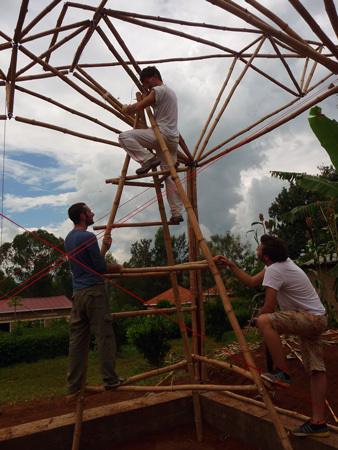 We are testing the bamboo structure. 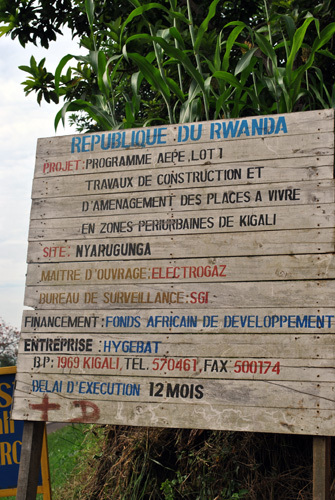 We arrived in Rwanda on the 8th of May. 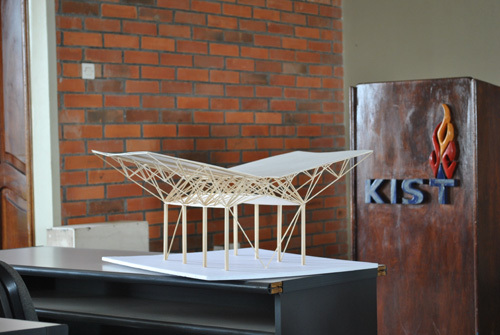 We presented Atelier Rwanda Workshop project at KIST University. 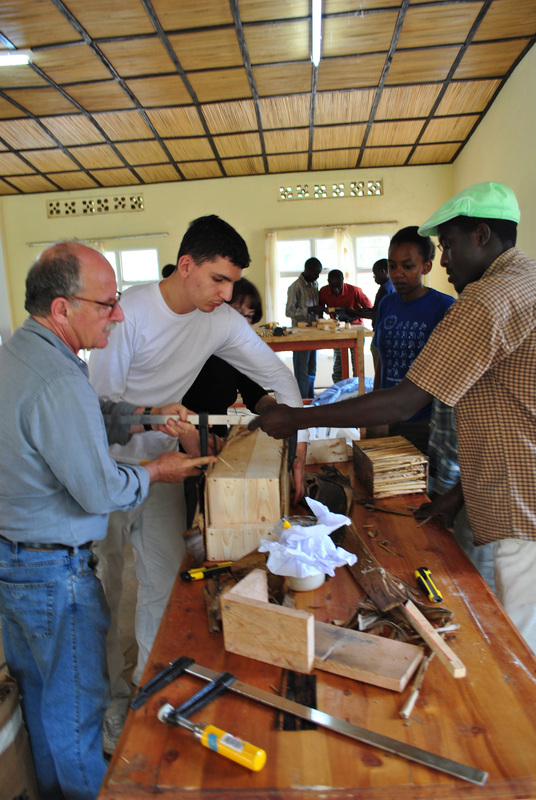 The Workshop started on Thursday, italian and rwandan students are working with bamboo, coffee and banano leaves. 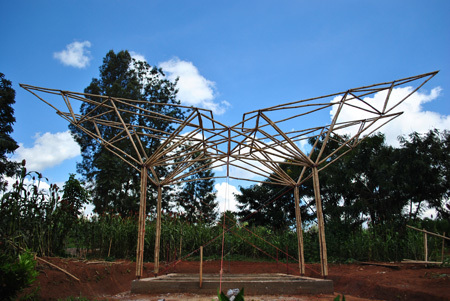 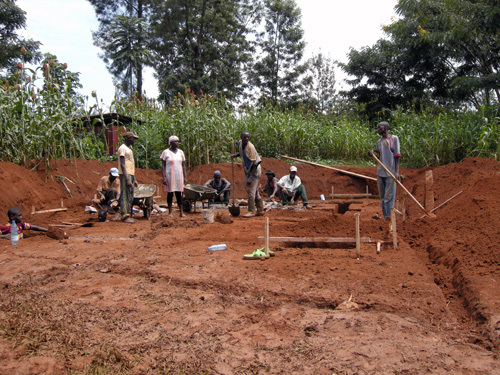 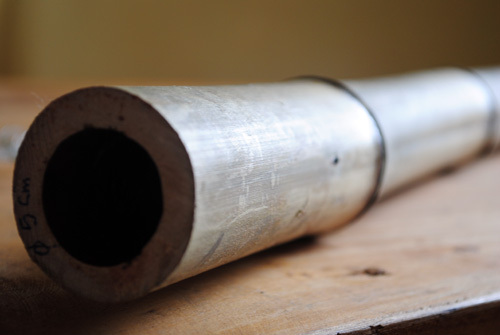 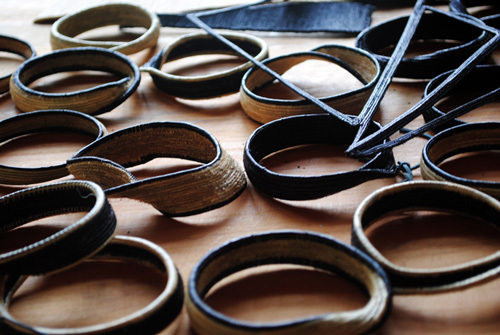 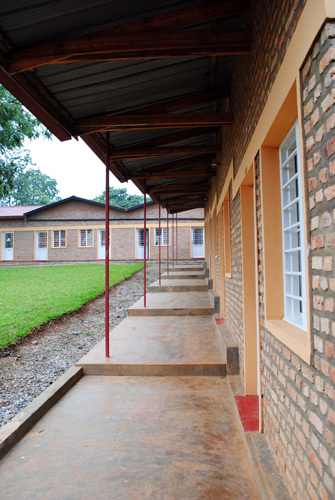 You are currently browsing the Atelier Rwanda workshop blog archives for maggio 2010.